Can BlackBerry grow its enterprise mobility, secure communications and Internet of Things businesses fast enough to offset declining revenues from handsets and service access fees? BlackBerry, once synonymous with business-class smartphones and push email, notably failed to adapt to the iPhone-era smartphone market. 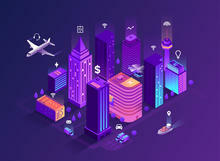 Since November 2013, under turnaround specialist John Chen, the Canadian company formerly known as RIM has been attempting to transform itself into a multi-platform Enterprise Mobility Management (EMM) vendor, while also developing revenue streams focused on secure communications and the Internet of Things (IoT). So how is the turnaround going? Let's start by summarising how far BlackBerry has fallen.